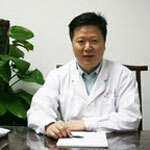 Professor Li Zhong (李忠教授) is a renowned Chinese medicine oncologist from Dongzhimen Hospital in Beijing where he is a much sought-after supervisor for PhD students and holds numerous positions on Oncology Boards and Committees. He has spent a life-time as a researcher and treating clinician, has many publications to his name, and has developed indisputable expertise in co-ordinating Chinese medicine with the Western protocols. BANK TRANSFER: Pearls of Wisdom Chinese Medicine BSB: 033-028 A/C No: 227996. Please leave as much as your name as possible in the transfer description, and email to pearlsreg@nullgmail.com your transfer receipt. CREDIT CARD OVER PHONE: A 3% surcharge applies. Please email us at pearlsreg@nullgmail.com with good times over the week to call you back about this, or add it in the note at the end of the online registration. $45 per head, partners are welcome to join. The DVD-ROM for Professor Li Zhong’s widely acclaimed 2013 seminar on Cancer Management is available for sale, click here for more information on that seminar. If you are registered for the 2015 webinar or seminar, it will only cost you $75 (inclusive postage). The normal cost of 2013 DVD is $250. This is a special discount.